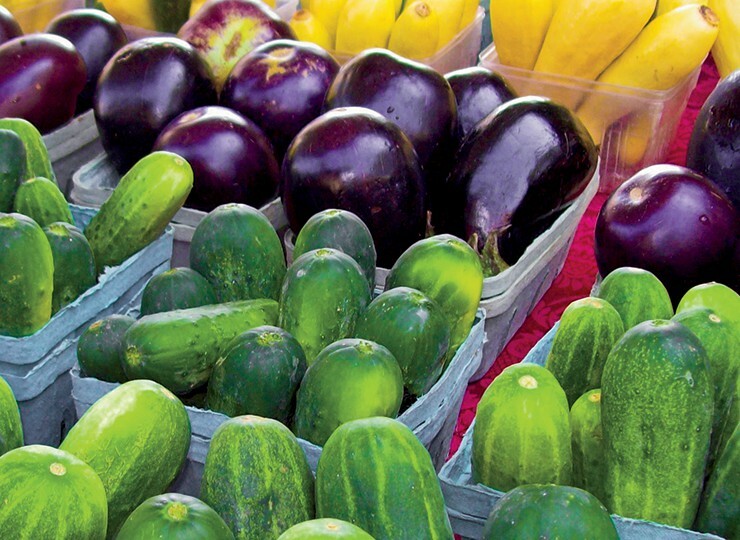 Did you know that the second week of August marks National Farmers Market Week? With more than 8,600 farmers markets across the country, it’s easy to celebrate by supporting local farmers near you. It’s local: Shopping at farmers market supports local vendors and jobs – which in turn returns more than three times as much of their sales to the local economy compared to national/chain businesses. The number of farmers markets may have grown in number, but that’s sometimes easier said than done. In Illinois, we talked with Chicago Farmers Market spokesperson about the trouble with starting farmers markets. “You need 10 farmers for one market,” Veronica Resa told us. “Sometimes, that’s very hard to find.” In fact, they often reach out to farmers across state lines to grow their markets. The Atlanta Market in Georgia has the opposite problem – it’s been at 100 percent capacity with a years-long waiting list for farmers to become vendors there. “If a farmer gets in the market, they usually don’t leave,” says Jack Spruill of the Georgia Department of Agriculture. This sought-after farmers market opens 364 days a year (every day except Christmas) and spans 150 acres, making it one of the largest in the word. On the other side of the country, Oregon farmers markets can be found just about everywhere – even hospitals. “The more health-care professionals can make the connection between healthy foods as a way to improve health, the more they will be able to promote it to their patients from an authentic place,” says Eecole Copen, a farmers market manager for Oregon Health & Science University. Back in the South, a focus has been placed on giving low-income consumers who use EBT cards through the Supplemental Nutrition Assistance Program (SNAP) better access to Tennessee farmers markets. The program encourages healthy eating by supplying farmers market managers with EBT machines and training, as well as a grant for EBT cards to double in value when used at a farmers market. And leave us a comment letting us know your favorite experience at a farmers market. Happy National Farmers Market Week from Farm Flavor! Students' options for ag careers (and schools) are far and wide.